VirtualShield recommends updating your app as soon as updates become available. I am sad to have left VirtualShield due to more frequent connectivity issues when phones are locked & then unlocked, had to constantly reconnect the app, even after leaving my phone on constantly (low power mode & screen dimmed) to force the app not to disconnect and would still have to reconnect manually?! Had great customer service experience with Tom & Ashley working hard to keep us protected but, we have older phones even updated may have been part of the issues! Thank You Jerry, Ashley, Sonia and Duane! This company is nothing short of Amazing! Spectacular customer service team who truly cares and takes care of issues immediately. I had a minor glitch, and they had it rectified within a matter of minutes. Being in the customer service business myself I am all too aware of “The Whole World Revolves Around Me Mentality” therefore I don’t condone rude behavior that “those” with anything short of a ten star rating for this company. I am so satisfied with this company I am now going to plaster them all over my two national sites going up. Seriously, if you are in search of an “Easy to Use, Install With Spectacular Customer Support” go with Virtual Shield. I promise you will be happy that you did. Thank you Virtual Shield, you now have my Lifetime Subscription! 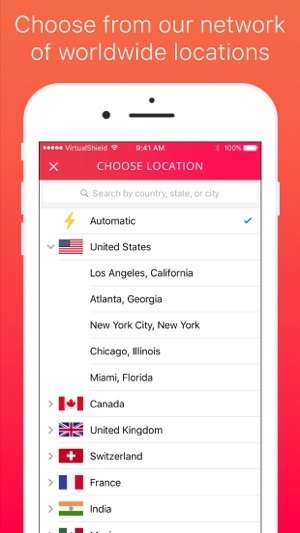 Virtual Shield is an awesome app and really helpful VPN, but there is a problem. 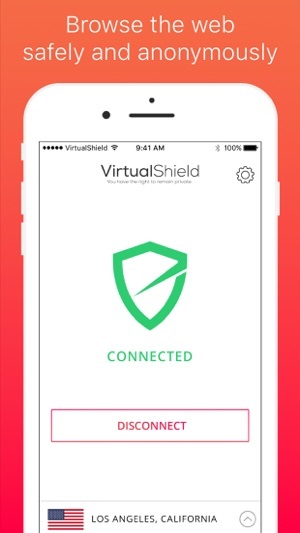 Virtual Shield DOES speed up WiFi’s and helps be anonymous. The only problem is ever since I downloaded and used this app, my WiFi will randomly cut off. I will have to go to settings and turn it back on and off. It’s very annoying and it’s tempting me to delete the app. PLEASE FIX THIS! Thank you!